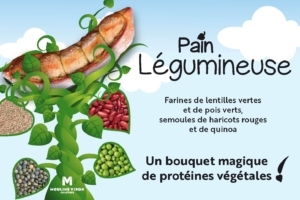 The legume bread: A magical mix of vegetable protein! An innovative assembly for a bread in tune with the times, with eating well and eating good. 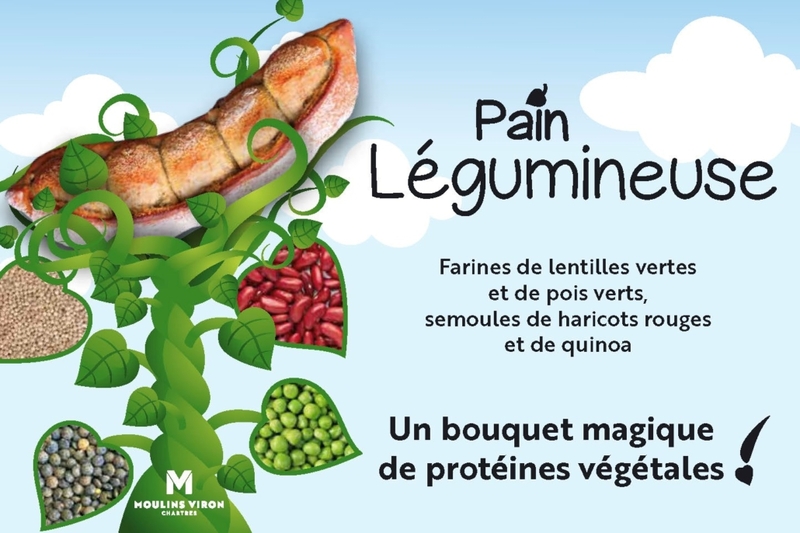 From the meeting of Moulins Viron and Marie and Olivier Blanchard, cereal farmers who diversified in the production of legumes and converting to organic farming, was born a flour 100% from Beauce and Eure et Loir, 100% from France, without additives nor artifices. https://moulinsviron.fr/wp-content/uploads/2019/03/Visuel-site.jpg 962 1445 JeanM https://moulinsviron.fr/wp-content/uploads/2018/08/logo-moulins-viron-couleur.png JeanM2019-03-06 22:04:052019-03-20 22:04:35The legume bread: A magical mix of vegetable protein!